A beautiful young person is an accident of nature. A beautiful old person is a work of art! 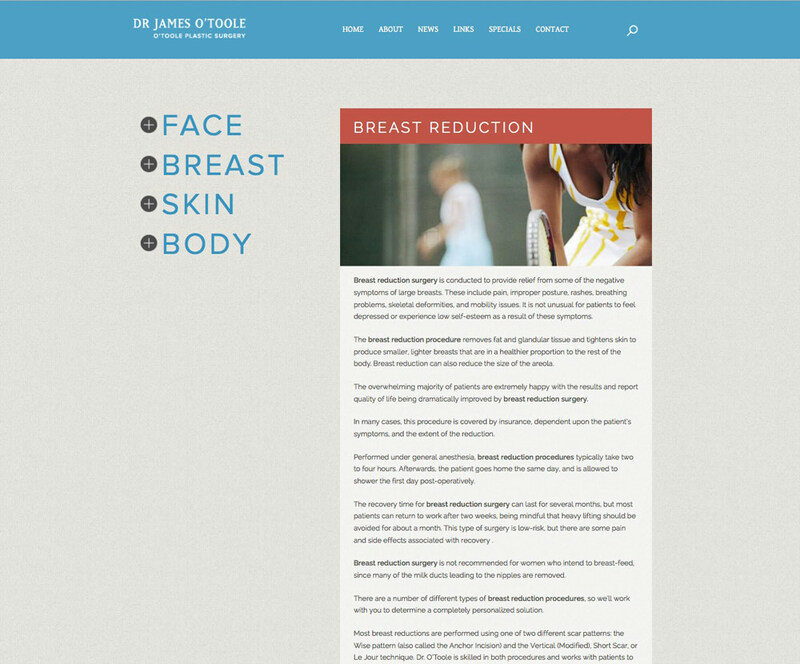 Dr. James O’Toole’s practice, the premier cosmetic surgery center in Pittsburgh, hired us to design their site. Through word of mouth (we seem to be traveling in the cosmetic surgeon circles these days) they found us, and hired us because they said there wasn’t a web designer in Pittsburgh they’d seen that matched what we did. Despite the web design talent in Pittsburgh, they thought our Columbus web design firm had the experience they needed to convey their high-end practice. Using beautiful, large format images makes any website more dramatic. And when the subject matter is beautiful people, it makes all the more climactic. In addition to the responsive web design we do, we also help with social media and internet marketing should our clients require that.